How to earn money with Zinteo? Zinteo is Global Social Betting Network – a place where tippers from all around the world can compete to each other on real sport matches. 1. Be as much as possible good bettor, so you can earn prices from Zinteo and you have opportunity to be followed by many people. At the beginning following option will be free, but in the future, if someone wants to follow you, he must pay to you. 2. 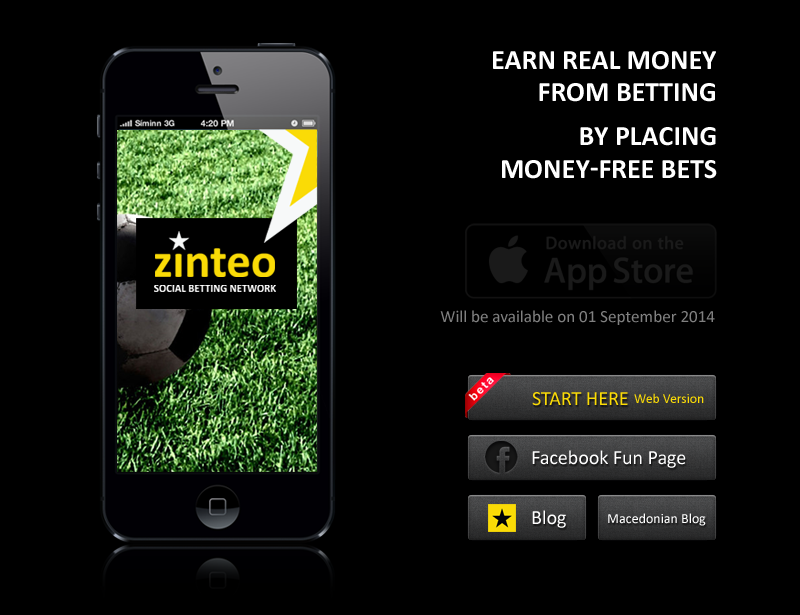 Follow best bettors on Zinteo, see their bets and go to bookmakers to put your ticket. If you play with real money the same matches like bettors on Zinteo, you will earn exactly as they earn points on Zinteo. How to earn 1.240 eur per 2 hours with live betting (which makes 500 eur / hour)?